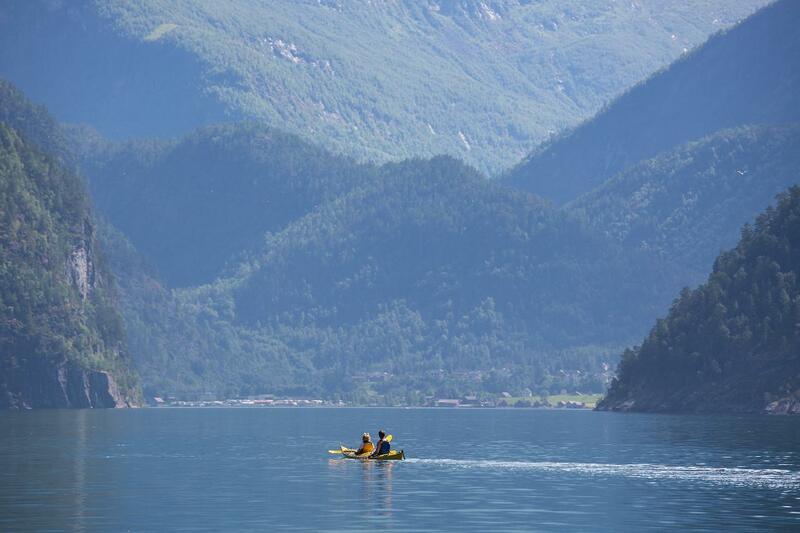 Guided sea kayak tour to Tafjord. The tour goes from Valldal to Tafjord, with a lunch stop along the way. This is a slightly longer tour experienced kayakers. Transportation back from Tafjord and lunch pack included. If trips are cancelled by Valldal Naturopplevingar, either due to extreme weather or too few participants, the cost of the trip will be refunded in full.